How Does the New Apple Watch Series 4 Compare to Past Models? This September, at a highly anticipated event, Apple released the fourth version of its wildly popular Apple Watch. The biggest change? This next generation device comes with some conspicuous health tracking additions: low heart rate detection and a built-in electrocardiogram (ECG) for the people who are concerned about their vitals. This is the first time a directly integrated health feature has been built into a smartwatch. A bigger, beautiful screen and a thinner body make it more impressive than past models. Two sizes are offered in the newest Apple Watch: 40mm and 44mm. The expanded display is the most obvious selling point for Series 4. Bezels are stripped away in both models and screens nearly brought to the edges. The smaller 40mm version of Series 4 has a 394 x 324 display and the 44mm version has an even bigger 368 x 448 OLED panel, which not only looks beautiful but is also great for accessibility. The larger display is an upgrade in every way. New watch faces were designed to take advantage of the extra space with more graphic information now available at a glance. The new digital crown allows a more responsive feel and makes it easier for you to flip through the items on your watch. The microphone has been placed between the two buttons and moved away from the speaker to prevent echo in calls. The speaker was upgraded in Series 4 to boost more volume and is louder than its predecessors. This will help reduce distortion during phone calls. Sound is quite good and a louder speaker allows you to hear it without holding the device close to your ear. There were issues found with LTE and the Apple Watch Series 3. They solved this issue and no major problems are observed with the latest device. Black ceramic and sapphire crystals are used at the back of the Series 4. This improves the cell reception and allows radio waves to pass through the front and back. Haptics, the subtle tactile sensations, are tied to the digital crown. By spinning it, you will feel the little ticks that precisely correlate to the activity on screen. Series 4 boasts a powerful S4 processor and a W3 chip (which is basically Apple’s W2 chip supported with Bluetooth 5.0). Thanks to the new S4 chip, the Series 4 has more zip compared to the Series 3. The Series 3 lags a few seconds behind the Series 4 when you open the maps and select the current location on both devices simultaneously. Series 4 also comes with faster and easy to use Siri. Now you can simply raise your wrist and start talking. You had to say “Hey Siri” or needed to press Digital Crown on the Series 3 to activate the assistant. The watch is available in a variety of colors: space gray, silver, and gold aluminum or space black, silver, and gold stainless steel with an abundance of new matching bands to choose from. Battery size is kept almost the same as past models. Battery life with Series 4 has been just as good as it was with Series 3. It takes almost 18 hours to completely drain the battery for regular use and six hours for outdoor workouts that include full GPS tracking. The Apple Watch Series 4 comes with Apple’s new WatchOS 5 operating system which bags a host of new features. There is a support for Walkie Talkie mode, podcasts, slightly improved notifications and a myriad of health and fitness options. An amazing new feature to the series 4 is hard fall detection. This has been made possible with a new 800 Hz accelerometer and gyroscope which can measure an impact up to 32 G-forces. The watch can sense if you have had a spill and will ask you to initiate a call to emergency services. It can automatically do that if you don’t move for a minute and also sends a notification to your emergency contact. For consumers who are 65-years-old or more, Apple turns on this feature automatically. For younger users, it is left as an option. While older models of the Apple Watch included such features as resting heart rate, an optical heart rate sensor to track the calories burned and more, Series 4 provides some unique additions. For example, a notification will be sent to you if your heart rate appears to be low – which could possibly mean that the heart is not pumping enough blood. Additionally, the Apple Watch now will be able to detect an irregular heartbeat that may point to atrial fibrillation. While the device is unable to diagnose the issue, the watch will notify the user who can then consult a doctor. One of the most impressive features of Apple Watch Series 4 is that it can take an electrocardiogram (ECG) using Sapphire crystal electrodes and digital crown that are built into the back of the watch. The FDA has cleared the both irregular heart beat detection and ECG but it is not same as approving these apps. Approval is defined as gold standard and a lot of testing is required for the companies to receive this designation. This Apple Watch Series 4 is not cheap. The smallest, least expensive model brings along a GPS and a Wifi and costs $399. Price can quickly increase if you start piling on the upgrades. The high price tag feels unreasonable if you need to upgrade from a series 2 or series 3. The larger size will cost you $29 more; $100 for LTE connectivity; and if you need the stainless steel model, add another $200. 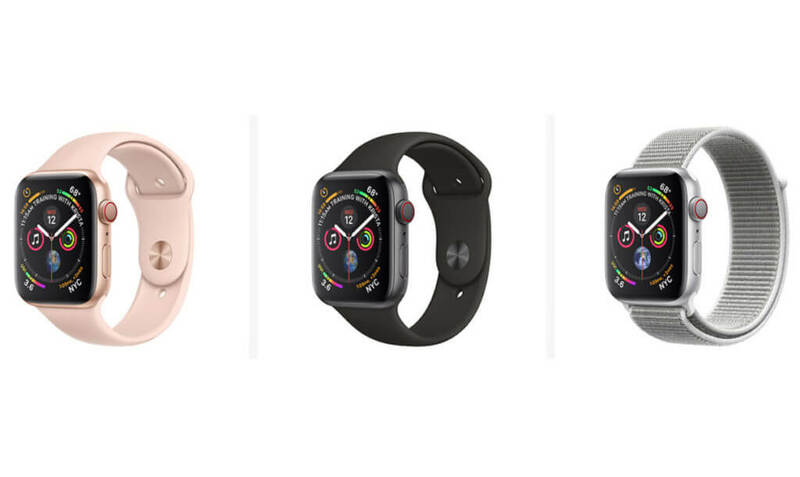 The Series 4 Watch is now available for pre-order. If your biggest concerns are size and price, the Series 3 Watch edges over the latest watch. Some great new fitness tracking features are added to Series 3 with WatchOS 5. Later this year, all watches will be running WatchOS 5 and irregular heart pattern notifications; one of the FDA cleared health features is also coming with them. So, Series 3 will become almost as capable as Series 4 when it comes to health detection.